Plan ahead now for the inevitable days when your childcare may fall through. If you’re a working parent, you know what a hardship it can be when schools and daycares are closed, whether for snow, cold, heat, a water main breakage …. who knows what. So what do you do, especially when you don’t have family available in the area? Well, the first thing is first: If you are trying to figure out what to do with the kids after you’ve heard that school has been called off, you’re putting yourself behind the proverbial eight ball. Preparing for an unexpected day off school or daycare means, well, preparing — in advance. 1) Share some of the childcare burden with friends. It takes a village, right? Find another neighborhood parent you trust to share the burden. Perhaps you can work in the morning, while s/he takes over in the afternoon. Or if it looks like more than one day will be out, trade days. 2) Network with friends and neighbors who are home during the day. Whether they are staying home with kids or work from home, discuss with your friends or neighbors if they would be available to take in your children for the day. In return, you could offer childcare for his/her children at a later date (or lots of brownies). There may be other ways to barter! 3) Don’t dismiss retired folk. Perhaps you know of a neighbor or member of your faith community who is retired but interested in taking care of children on a drop-in basis, or would be willing to come to your home. Be up front about arranging a payment or compensation plan. 4) Check out home daycare options in your area. Find a suitable home daycare in your neighborhood that might be willing to take in extra kids. Especially in the case of snow, not everyone is able to travel as far, so the home daycare may have capacity. Negotiate a rate in advance so you’re not surprised. 6) Find a backup sitter who is in college. University of Illinois/Parkland students can be an invaluable resource. We have a plethora of backup sitters in our midst: University of Illinois or Parkland students. Perhaps you found them when looking for a sitter for the occasional night out (we have lots of ideas for that), but they may have a more flexible schedule even during the week. 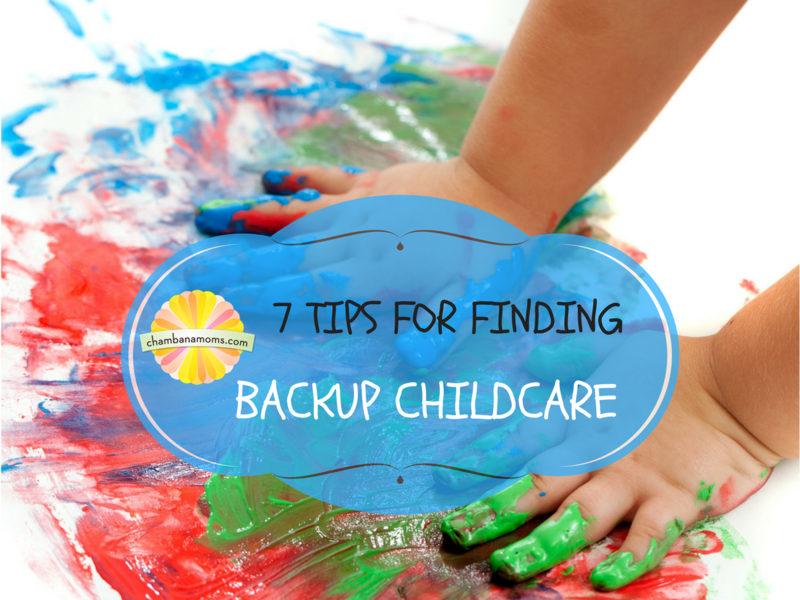 7) Look into drop-in care at a local childcare center. Some centers might demand pre-registration and filling out forms; others simply ask for emergency contact info. Call a center close to you for info, but locally, we do know that Champaign’s La Petite Academy accepts drop-ins as space is available, and offers both full- and half-day rates. Lodgic Everyday Community is another that offers drop-in service. Leave your best tips in the comments.